Track activity and sleep without ruining your look. Create fitness goals, set alarms and control the hands of your watch with your phone. You’ll never worry about time zones, daylight savings and short months, the time and date stay in sync with your phone. The quick release strap lets you change your look in seconds; no tools required. 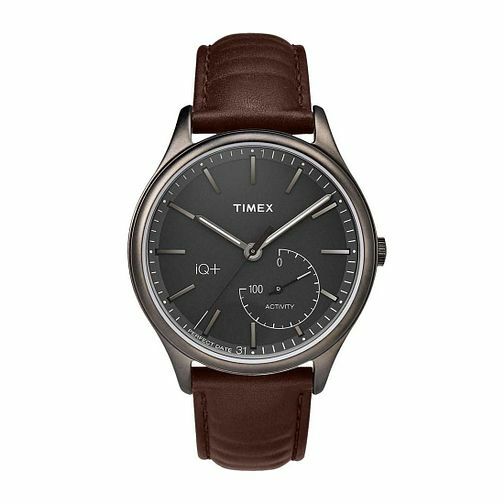 Timex IQ Men's Activity Move Smartwatch is rated 1.0 out of 5 by 1.